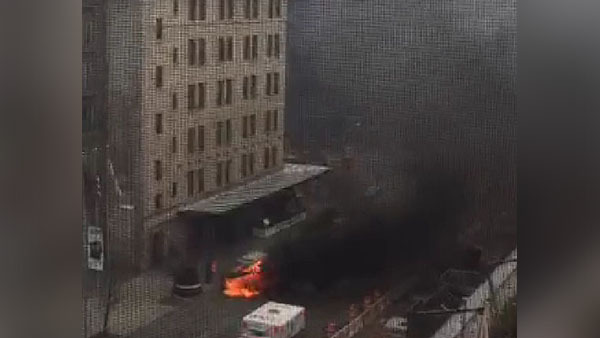 MEATPACKING DISTRICT, Manhattan (WABC) -- A car burst into flames in the Meatpacking District on Saturday, sending thick, black smoke through the neighborhood. A call came in around 4:12 p.m. to the FDNY. The car fire started on 13th Street and Hudson Street. No injuries were reported. The car fire was placed under control around 5 p.m.